Ana’s embrace was full of the goodness of friendship and familiarity, goodness I’d been craving. We pulled over by the fountain in the centre of Ginestar and jumped out, grinning to see her waiting for us in the shade, beer in hand; shiny with mid-afternoon sweat and beautiful, she led us to the bar. And so began one of the most precious weeks of our trip. 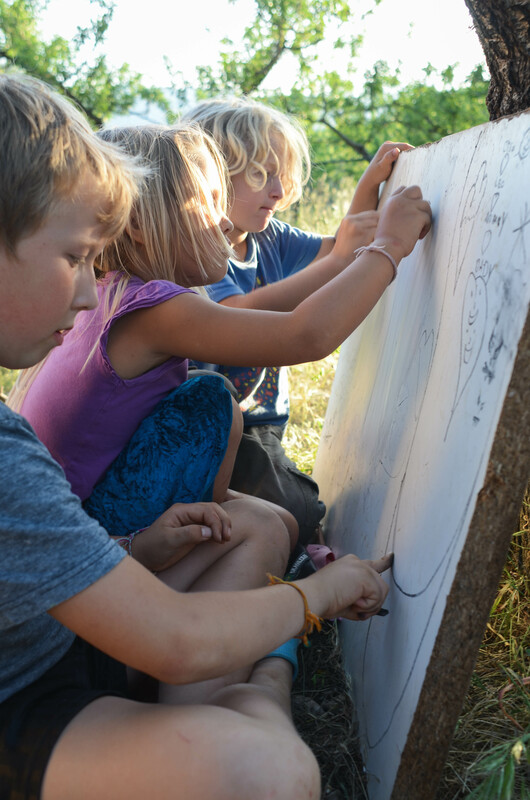 Ana lives in a yurt with her two children, Gabriel and Ofelia, on a piece of regenerative olive farmland called Finca Slow. 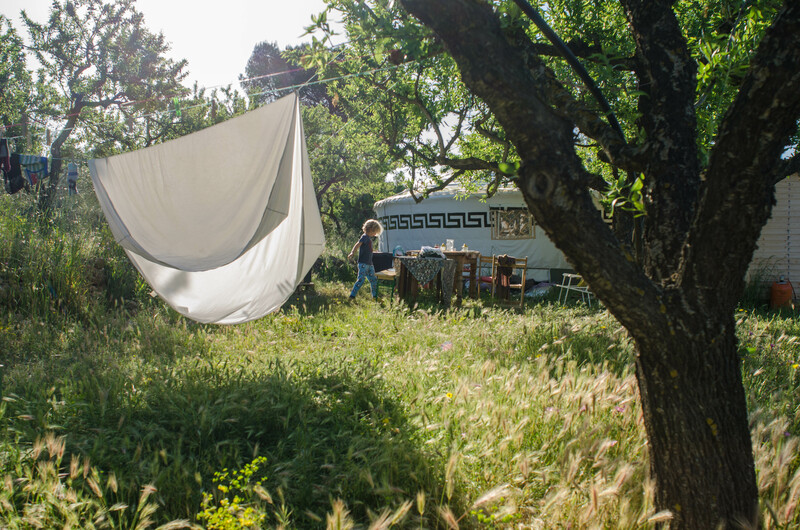 This little slice of Catalonian rural paradise is owned by, and home to, Dan and Johanna McTiernan who also live in a yurt on the land with their two children, Otso and Leo. Dan and Johanna moved here to live the modern agrarian dream three years ago; Ana and her tribe soon followed. 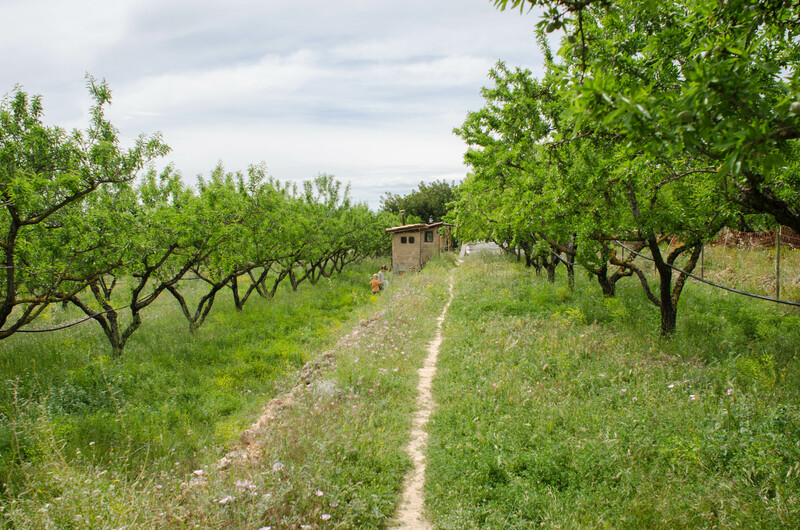 Here the two families live without grid electricity or mains water supply, amongst almond and ancient olive trees. 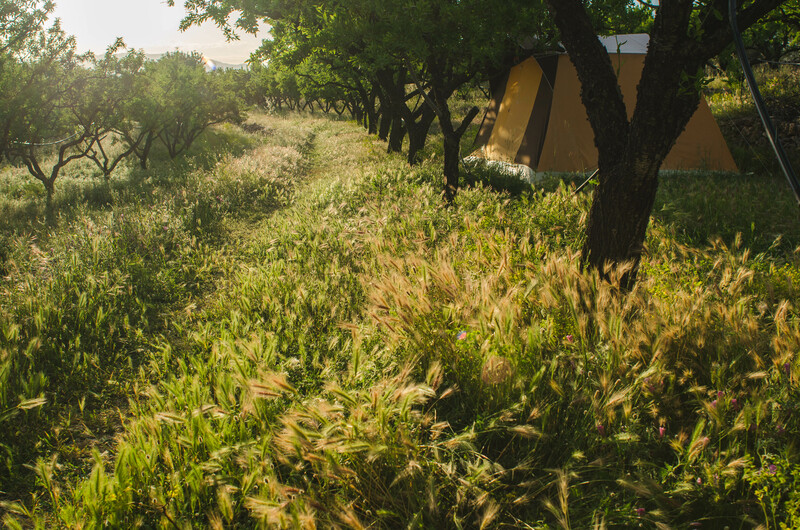 It was in a little shady patch between these almond trees that Ana and Rob pitched the tent that we stayed in for the time we were there. 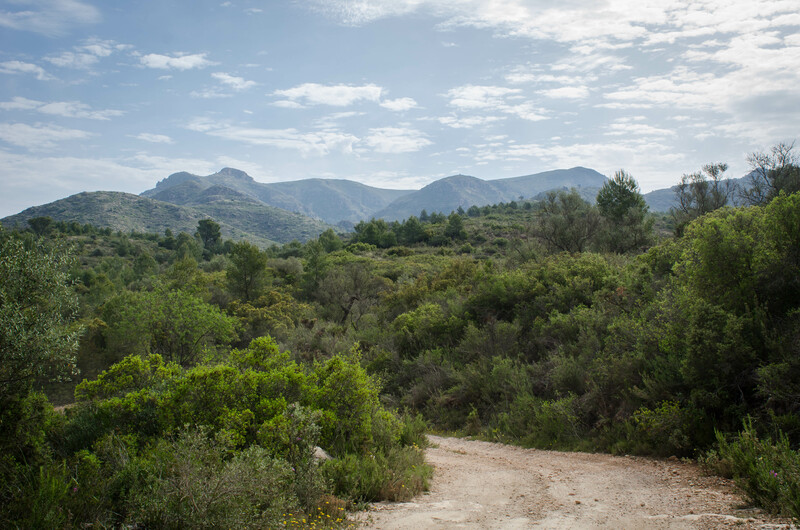 Having already once demanded rather too much of poor old Colin the Van in Morocco, we decided we’d spare him the trauma of another rutted track and opt instead for a week under canvas. 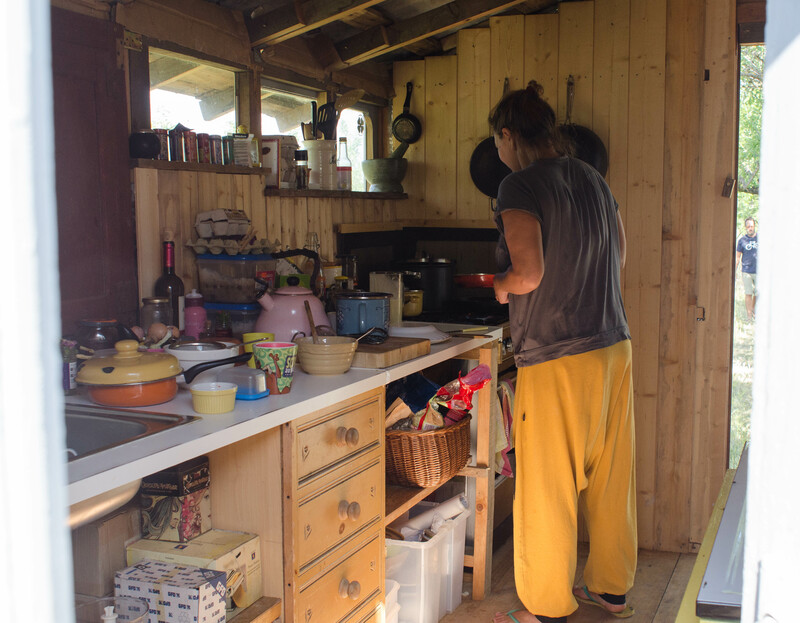 Our tent was next to Ana’s home and during our stay we shared space in the kitchen; cooking together and talking, washing dishes and talking, fetching breakfast or snacks for the children and talking. Living our domestic lives together as women used to do. For a week, we were tribeswomen, caring for our folk and sharing our stories. 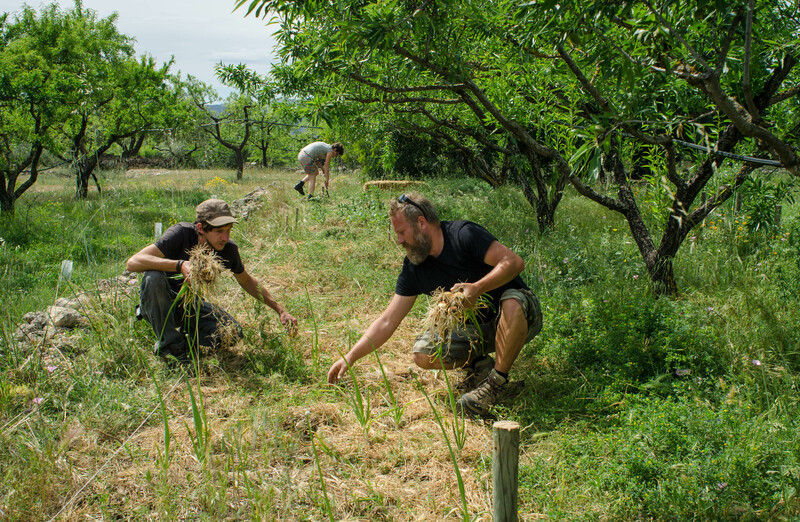 On the land, Dan and Johanna were working hard; Johanna pruning the olive trees, trying to help the resident Wwoofers, Vroni and PJ, understand which branches needed to be taken away to create the right shape for maximum ventilation and limited upward growth. Throughout the week, Johanna standing under the canopies with safety gear and loppers – peering up into the leaves as if communing with the tree, completely absorbed – became a common sight. 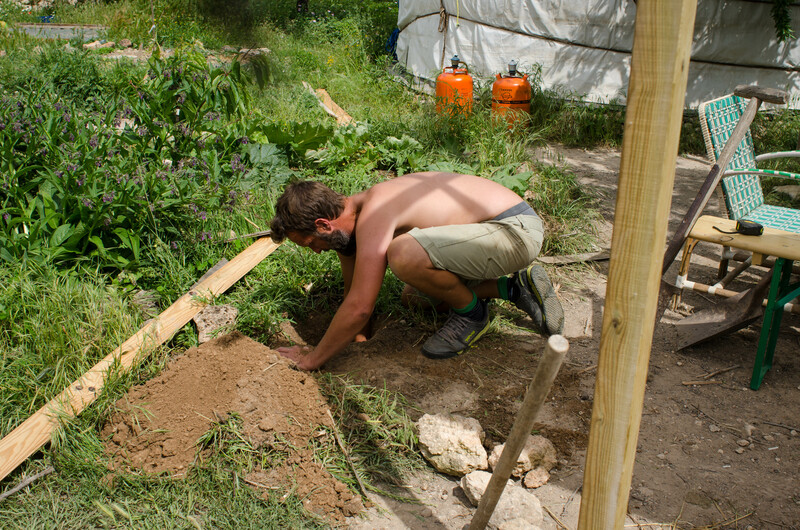 Dan, along with their other resident help Perry, was getting stuck into the sweaty work of building an outdoor kitchen. Rob and I helped a little when we could; Rob doing his favourite work of digging holes along with some cob work on the new compost loo, and me doing my favourite work of putting seeds and plants into soil. The soil here is really what it’s all about. 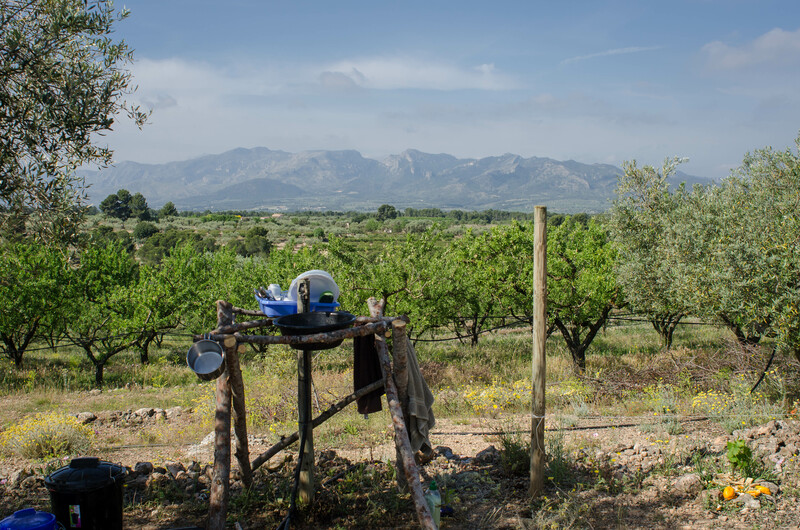 Olive farming across the Mediterranean has been responsible for terrible environmental practices, and Spain in particular is facing increasing desertification at a worrying rate. 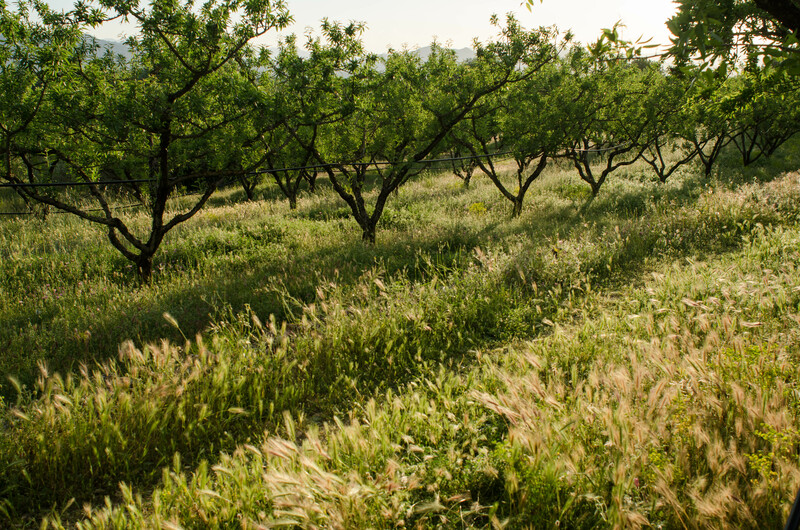 Those countless bottles of olive oil we all now regularly consume are responsible for widespread soil erosion and the intensive use of pesticides and herbicides are now common practice amongst traditional commercial growers, with potentially disastrous consequences for vast swathes of European land. 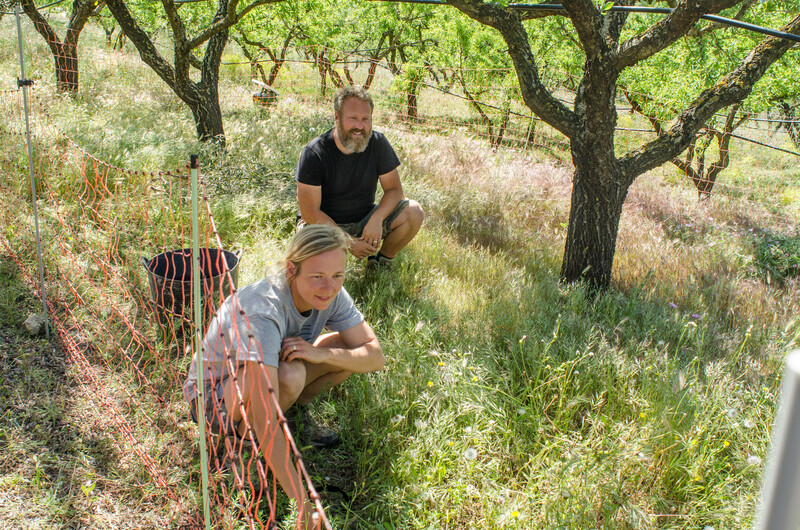 The regenerative farming movement and permaculturists like Dan and Johanna are working to reverse that damage, one finca at a time. 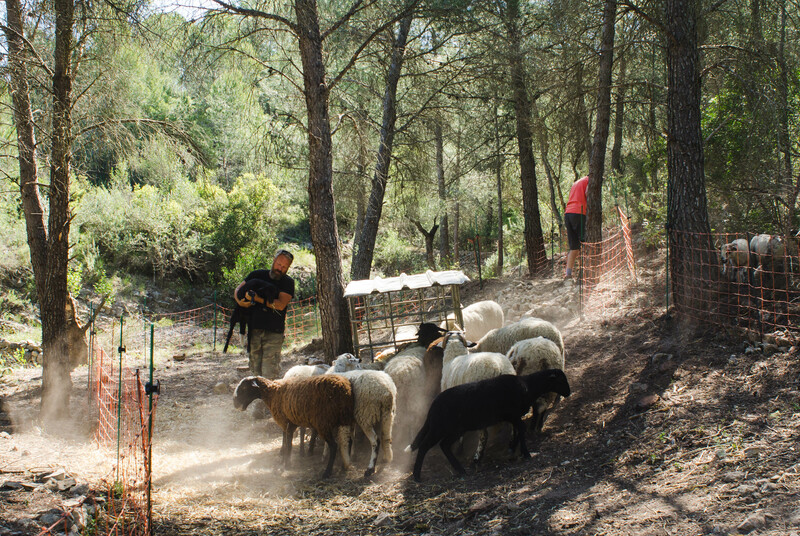 Protecting and nourishing the soil is really at the heart of this approach, allowing ground cover to flourish under the trees and introducing livestock to graze and fertilise. It’s a wonderful vision, but even more inspiring in practice. 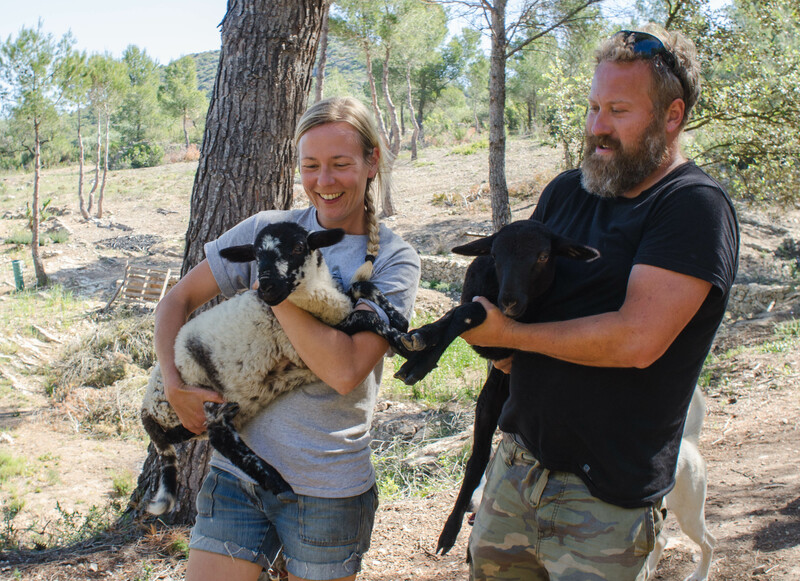 Seeing how Dan and Johanna live it’s hard not to want to get involved, to join them in their mission on the land. After the day’s work was done, we’d gather and talk. Drink a beer or share some food. The guitars and drums were brought out and the children ran wild in the coolness of the evening. 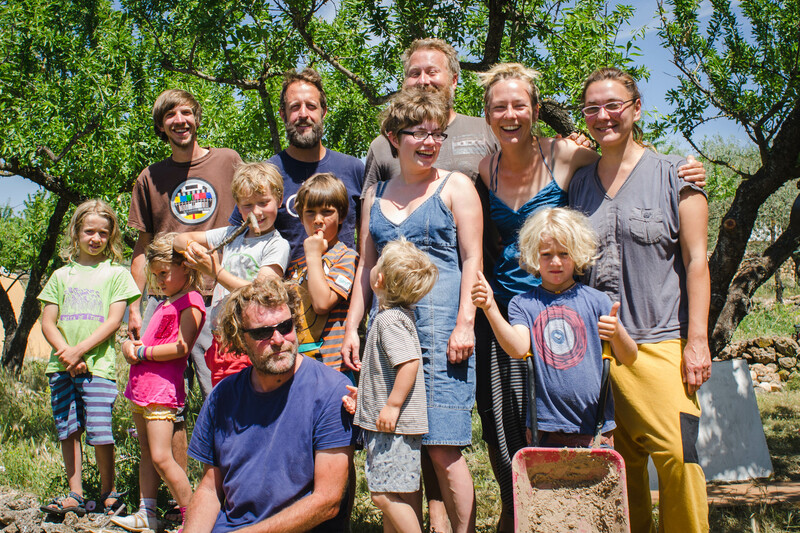 Being part of a community again, albeit for just a week, was just what this wandering family needed. 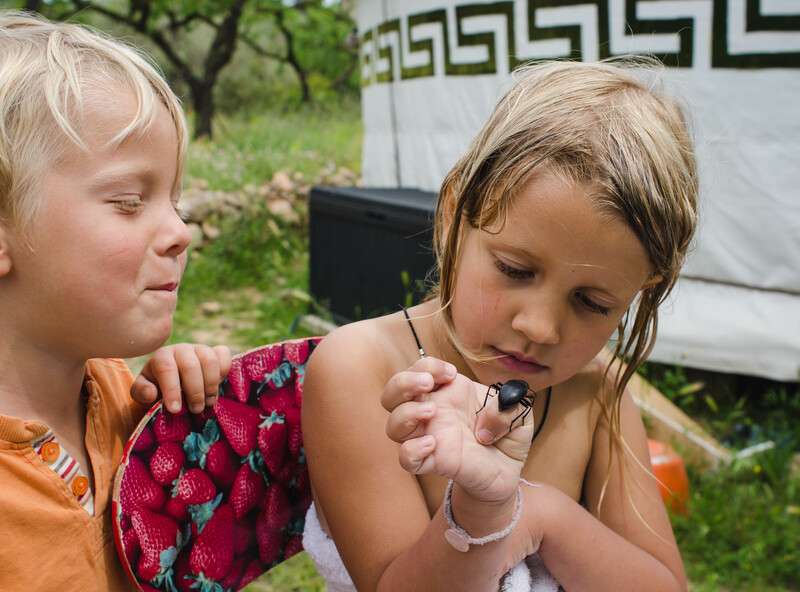 All the things that make life sweet were here: laughter and music; trees and wildflowers; honest hard work and homegrown food; ideals, and crazy dreams of a better world. It was a heady mix for this wannabe peasant and oh-so-hard to drive away from. Something tells me we’ll be back. As always this is a beautiful piece Selina. Your writing tells me that somehow you left a piece of your heart there. Thanks Alice, there’s lots to nourish the soul along the way but this place was special!